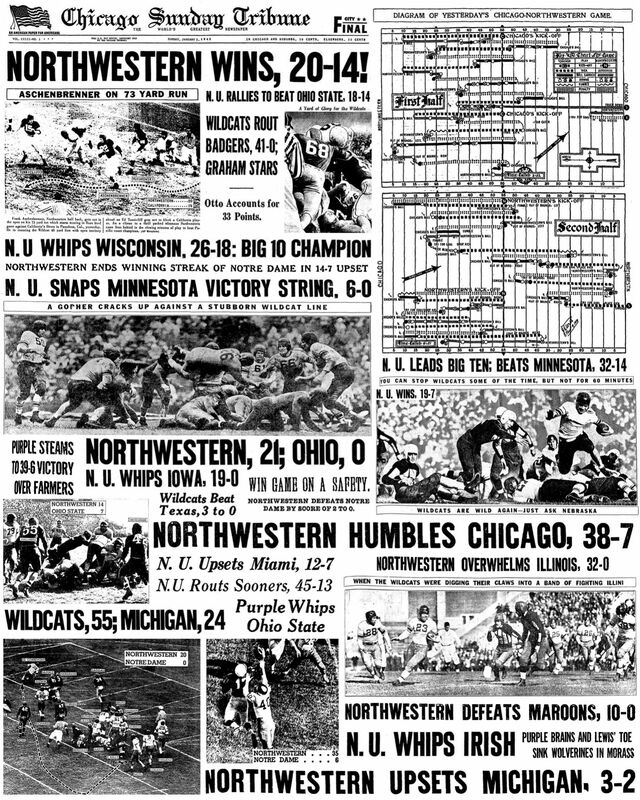 Head coach Bob Voigts and the Northwestern Wildcats shocked the California Golden Bears in the 1949 Rose Bowl with a 20-14 victory in front of more than 92,000 fans. On 2nd down with just minutes left in the game, center Alex Sarkisian snapped the ball directly to halfback Ed Tunnicliff while quarterback Don Burson faked a pitch to Frank Aschenbrenner, who rushed for a 73-yard TD earlier in the game. Tunnicliff streaked off right tackle 43 yards for the TD to put Northwestern ahead. 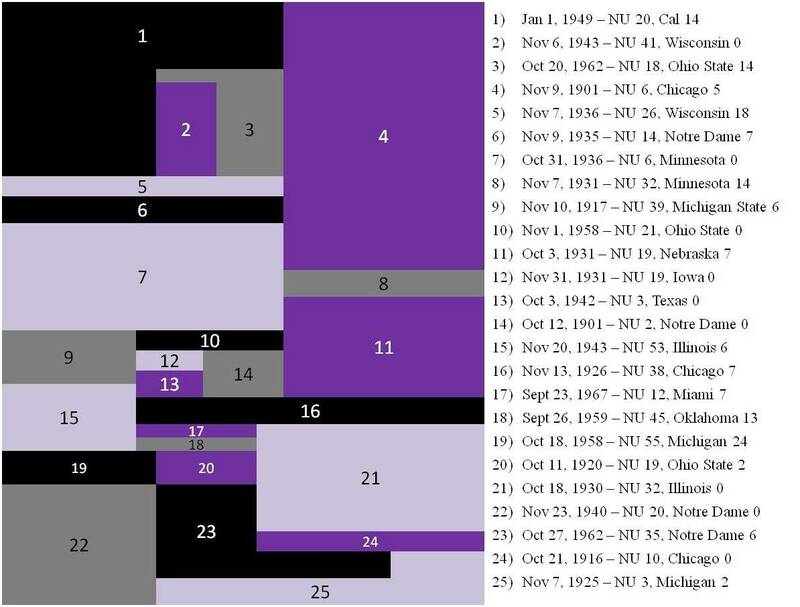 Jim Farrar's PAT made it 20-14, the final score of the game.